On the morning of my last day in Oman, I visited this impressive mosque completed in 2001 and named after the current sultan of the country. It first caught my attention when my taxi drove past its beautiful night lights on the day I arrived to the country. 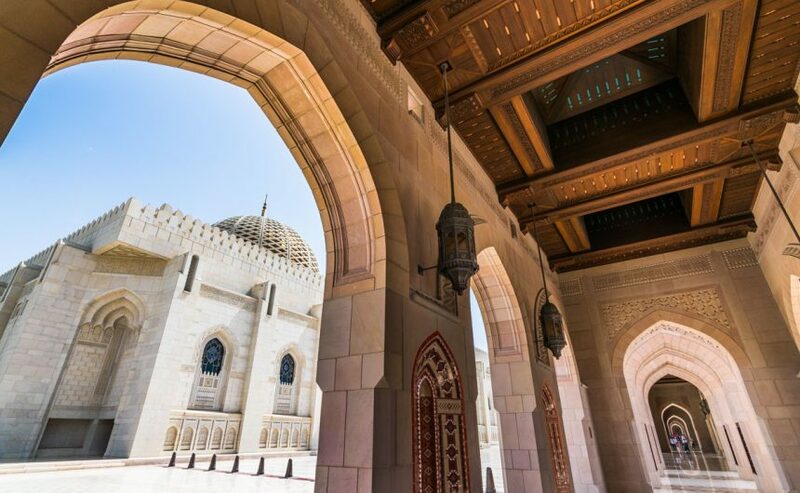 Just like the town of Sur, Nizwa is another good base with lots of interesting surrounding sites to explore, including two UNESCO World Heritage sites and a picturesque old mountain village. 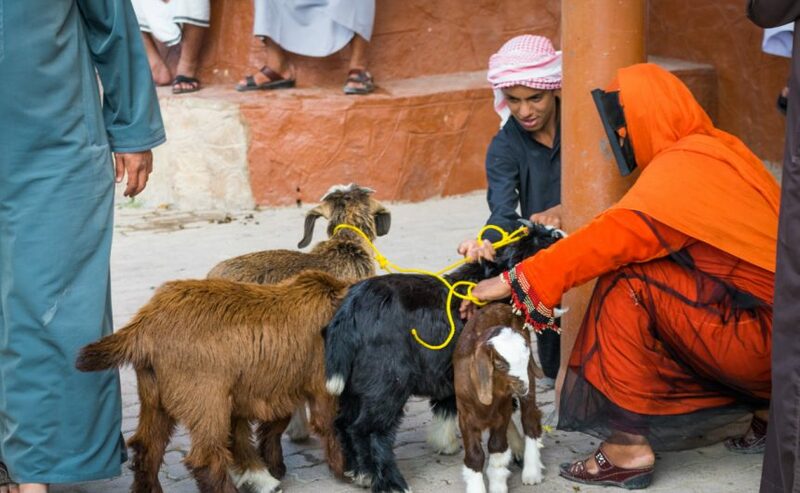 I was really happy to find out that my 3-day stay in Nizwa coincided with the goat market that happens in town every Friday morning. It takes place next to the souq (market), and starts at around 7am. 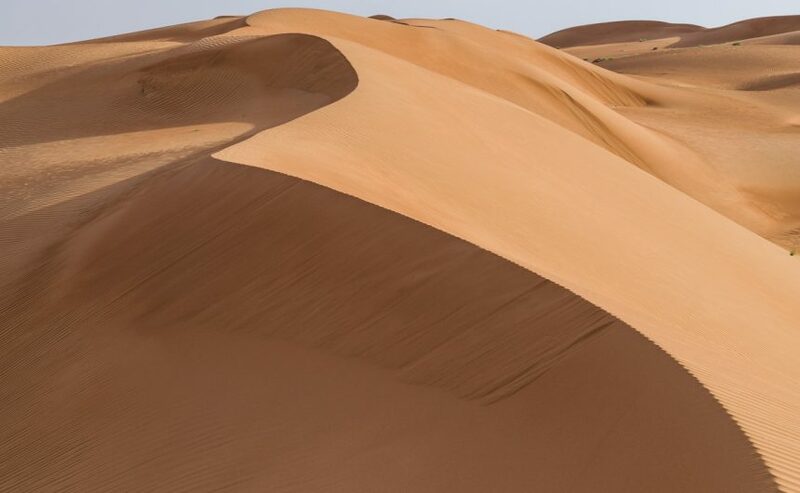 The owner of Sur Hotel gave me a tip on where I could see some nice sand dunes without needing a 4×4 car or an expensive stay at one of the desert camps.